WASHINGTON — Most Americans look forward to Friday, the gateway to the weekend. Bank robbers, it appears, are no different. The FBI’s bank crime statistics released Wednesday for the first quarter of 2010 — January through March — shows 241 bank crimes occurred on Friday, more than any other day of the week. 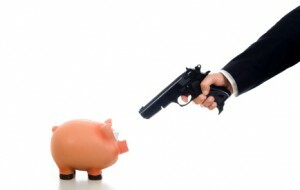 Bank crimes occurred most frequently, irrespective of the day, between 9 and 11 a.m, according to the FBI statistics. There were 1,183 bank crimes reported to the FBI during 2010’s first quarter, a drop of slightly more than 22 percent during the same period in 2009. A bank crime includes a bank robbery, burglary, or larceny, but the lion’s share of crimes reported by the FBI involved bank robberies. In all, cash or checks were taken in 92 percent of the incidents, totaling $9.35 million, the FBI said. Of that amount, 21 percent, amounting to $1.9 million, was ultimately recovered. Three percent of incidents witnessed acts of violence, culminating in 18 injuries and two deaths, the FBI statistics showed. The southern region of the U.S. experienced the most bank robberies with 407, followed by the west region with 347; north central region with 247) and the northeast with 152. California, home of the infamous Geezer Bandit (who robbed one bank during this time period), led all other U.S. states with 136 reported bank robberies. Texas, with 109 reported bank robberies, was the only other state to hit triple digits, the FBI stats showed. Maine, Montana, South Dakota and Wyoming were the only four states to report zero bank robberies between January and March. Posted: 8/4/10 at 7:25 PM under FBI, News Story.